Hello! 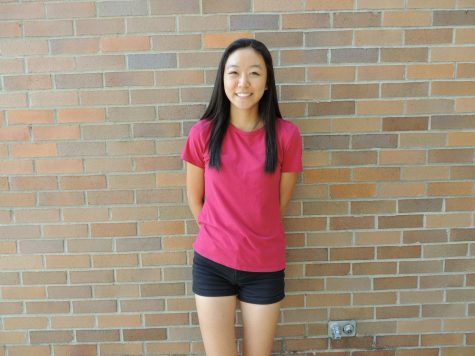 My name is Linya Guo, and I am a junior in Sycamore High School. This is my first year as a part of The Leaf staff, and I am excited to learn more and develop my writing and editing skills in journalism. My position is the Art and Photo editor, where I oversee the covers of The Leaf and ensure that the section editors are matching the specific styles, making progress, and meeting deadlines. A strong interest of mine is music. I have been playing and taking lessons in piano for 11 years, and I participate in around five recitals each year. I have also been playing violin for 7 years, and take lessons in that as well. I auditioned into Cincinnati Junior Strings (CJS) in seventh and eighth grade, Cincinnati Symphony Youth Orchestra Concert Orchestra (CSYOCO) in ninth grade, and Cincinnati Symphony Youth Orchestra Concert Philharmonic Orchestra (CSYOPO) in tenth and eleventh grade. But I not only love classical music, but I enjoy listening to all kinds of genres as well, including music with lyrics of different languages. In addition to music, art has also been a huge part of my life since I was young. I have been taking lessons in oil painting since sixth grade, and it is one of my favorite past-times. When I feel stressed, picking up a pencil and doodling on scratch paper always relieves my anxiety. Also, I founded and am the president of Calligraphy Club. Funny story: I actually got into calligraphy from Instagram, and the mesmerizing calligraphy videos prompted me to pick up a pen and try it out myself. I also love creative writing. In seventh and eighth grade, I participated in the Power of the Pen Competition. In seventh grade, I won ninth place in the district tournament and made it to the state tournament. Additionally, in eighth grade, I won a Best of Round award in the district tournament, made it to the state tournament again, and won third for Promising Young Talent. As for sports, I have started and quitted many various athletics for the past 16 years of my life, but tennis has stuck with me for a long time. I have participated in multiple clinics and summer programs, and joined the school tennis teams. I was in the Sycamore Junior High team for both seventh and eighth grade, and I played and currently play for the SHS Varsity Green team. If you have read all the way to here, I applaud you. All these things---music, art, and writing---make me who I am.